The Google Nexus S keeps much of what I love about the Samsung Vibrant—the beautiful 4-inch Super AMOLED display and the light slim design—and adds a front-facing camera for video chat, mobile hotspot capability and the Google's latest Android 2.3 (Gingerbread) operating system. With those specs, the Nexus S is on par with our current favorite, the T-Mobile MyTouch 4G. But the Nexus S is only a 3G phone, and there are too many other compromises in its features to give it a strong recommendation. If you're not tied to T-Mobile you should wait until the phones announced at CES, like the Motorola Droid Bionic, Motorola Atrix, Samsung Infuse 4G, HTC Thunderbolt and LG Optimus Black, roll out over the next couple of months. Their faster processors and enhanced displays will make the Nexus S hardware pale in comparison. Basically an upgraded Samsung Vibrant, the Google Nexus S is also light for its size, weighing in at only 4.55 ounces (versus the Vibrant's 4.2 ounces). The low weight, combined with the slim profile (4.88 x 2.48 x 0.43 inches), makes the Nexus S very comfortable to hold. Though the glossy finish and rounded corners of the Nexus S did not give me the same sense of security as the textured finish of phones like the DROID X. And much of the low weight is accomplished through a plasticky body. The Nexus S has a beautiful 4-inch Super AMOLED display (800 x 480) with incredibly vibrant colors and terrific brightness. It still stands out, but not for long. Upcoming phones from Samsung will use its new Super AMOLED Plus display technology, and LG will soon have phones with its "NOVA" display–both promise higher contrast and better viewing in sunlight. The 4-inch screen and vibrant colors make web browsing a pleasure. And with Android 2.3's support for Flash, you can really go anywhere on the web and have a great experience. The one big disappointment is that the Nexus S is a 3G phone, operating on the HSPA network (7.2 Mbits per second) rather than T-Mobile's speedier HSPA+ "4G" network (14.4 Mbits per second), like the HTC MyTouch 4G. The Nexus S has a 0.3 MP (VGA) front-facing camera for video chat, a 5MP rear-facing camera with auto focus and flash and 480p standard definition video recording. Overall, I found the shots on the Nexus S to be very good. Pictures were crisp and colors were true. It doesn't topple Apple, though. The iPhone 4 still rules the roost in cell phone picture quality. The camera is very easy to use. Unfortunately, that's largely due to the fact that there are far fewer options than other phones' cameras. For instance, there aren't any scene modes or special effects, like sepia or negative. Just the basic controls for ISO, white balance, exposure compesation and turning the flash on and off. There's not even a digital zoom, though I find those to be of limited benefit anyhow. It's disappointing that The Nexus S video is only 480p standard definition, when most smartphones record in 720p HD. The video quality was only average in terms of noise, handling lighting changes and motion blur. On the positive side, the colors were fairly accurate. 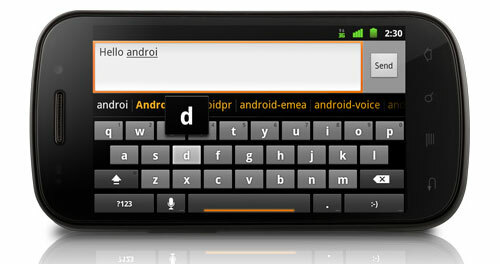 While the previous version of Android's keyboard was already very good, Android 2.3 (Gingerbread) on the Nexus S comes with a new and improved version. You now get additional spacing between letters; larger font sizes; an enhanced suggest feature that uses your previous input history to guess what you're typing; and the ability to type letters, numbers and special characters all from the same screen. Copy-and-paste has also been improved with one-touch word selection and a new text selection tool. As good as the new keyboard is, I still found myself wanting to use Swype. Most Android phones come with Swype pre-installed, but since Swype is not part of Google's stock Android, the Nexus S does not. Navigation was very similar to other Android phones, with five panels, each customizable with various widgets and apps. It's an intuitive system and was generally responsive to my finger movements, though I did find it sticking occasionally. Whether this is an issue with the phone or some conflict between the apps I loaded is hard to say, but I haven't seen it to the same degree in other Android devices. The Apps screen gets a new look with a vertically scrolling 3D list—it doesn't really add anything in terms of function, but it looks cool. The touch-sensitive main navigation buttons on the Nexus S—for Menu, Home, Back and Search—are thankfully lit at whenever the display is on, making them easy to find. You can connect up to six devices through the mobile hotspot capability on the Nexus S. But remember, this is a 3G phone. The Nexus S comes with 16 GB of on-board memory, which should be enough room for most to store their library of songs, videos and photos. We would have liked to see an SD card slot, though, as almost every other Android phone has. Like most smartphones, the Nexus S is an energy hog. I was lucky to get a full day under normal conditions with occasional calls, web browsing and app usage. The Nexus S is available at BestBuy.com for $199.99 with a new, two-year T-Mobile customer agreement or unlocked for use on any GSM carrier for $529 . 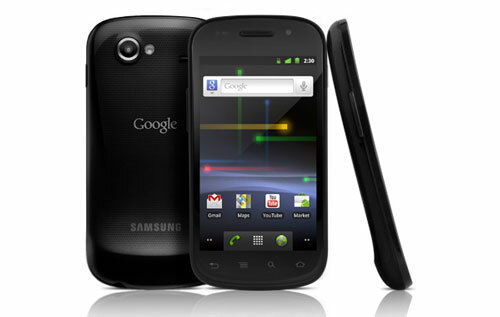 The Google Nexus S is a handsome phone with its beautiful 4-inch Super AMOLED display and light, slim design. And among the phones on the market today, it's certainly competitive with its front-facing camera, mobile hotspot capability and Google's latest Android 2.3 (Gingerbread) operating system. But it doesn't wow me. If I were a T-Mobile customer, I would pick the MyTouch 4G with its superior fit and finish and 4G speed over the Nexus S. But if you want a super-light phone with a vibrant display, the Nexus S will work for you. If you're not tied to T-Mobile, wait until the phones announced at CES roll out over the next couple of months for AT&T and Verizon. I’m confused, are you telling T Mobile customers to leave T Mobile to go to other carriers when new phones from CES are released? Why would we leave just because your not a fan of the Nexus S? T Mobile announced at CES they will be releasing 25 new devices with 4G capabilities. They vowed to aggressively expand and evolve its 4G smartphone portfolio, launching additional devices capable of delivering peak download speeds of up to 21 Mbps in the first half of 2011, and smartphones capable of delivering peak download speeds of up to 42 Mbps in the second half of the year. These new phones will be faster than the current MyTouch 4G. So why would we leave when bigger and better products are coming? Samsung’s “Evolution is Fate” campaign promising a replacement for the best-selling Galaxy S phone (Vibrant), and spec tidbits continue to leak out of Korea ahead of the big reveal. News is, the Samsung Galaxy S2 – internally known as the Samsung Seine – will use the company’s new 1GHz Orion processor, based on dual ARM Cortex A9 cores, The upcoming model will be able to transfer data at 21 Mbps under ideal conditions. The other phones that can use this high-speed data network, the T-Mobile myTouch 4G and the T-Mobile G2, max out at 14.4 Mbps,paired with an 8-megapixel camera and Android 2.3 Gingerbread.The Galaxy S2 camera is said to be capable of 1080p Full HD video recording, while up front is a front facing camera a 4.3-inch 800 x 480 Super AMOLED Plus touchscreen. The Super AMOLED Plus displays have an increased number of sub-pixels by 50 percent and perform even better in bright light than the first-gen Super AMOLED displays. Samsung has included NFC, as on the Nexus S, along with 1GB of RAM, and the whole thing is said to be just 9mm thick. In contrast, the original Galaxy S is 9.9mm thick. It supports Full HD output via an HDMI 1.3a port – in fact the chip can concurrently run an external display while simultaneously driving two onboard displays, not that we’re expecting Samsung to make the most of that capability – and has an embedded GPS receiver. The same dual-core chip should also power Samsung’s upcoming Galaxy Tab slates. T Mobile has also announced the new Android powered SideKick 4G for the near future. With the new Dell Streak 7 4G Tablet and the LG G Slate 4G Tablet just passing FCC I think things are moving along very well.